Today the Heritage Lottery Fund announced that the Mid Hants Railways “Canadian Pacific – engineering a future from the past” bid has been successful in its application for funding. The project to overhaul the railway’s flagship steam engine Merchant Navy class No. 35005 ‘Canadian Pacific’ and restore two wooden framed Bulleid carriages will provide employment for 11 new members of staff, including eight technical people; six of whom will be apprentices with a two-year period of training. 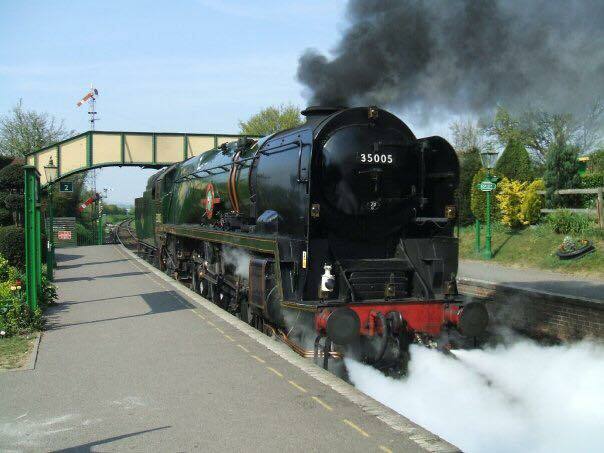 The scheme also provides work experience opportunities for local unemployed youngsters and engineering students at Eastleigh, plus a range of other community outreach activities, education and information benefits for the Watercress Line’s thousands of visitors. As a volunteer on this project you can understand that I am delighted with the result and wish to congratulate David Snow and his team for putting together a brilliant grant application. Its safe to say that I speak for the CanPac team at Eastleigh when I thank the Heritage Lottery Fund for their support and we can’t wait to see our railways flagship locomotive back in action hauling some lovely Bulleid coaches. Don’t Forget to check out the Brookes Castle – Volunteer Diary to catch up on previous posts about my experiences working on Canadian Pacific.